Our July Go Figure threw off the vast majority of readers. 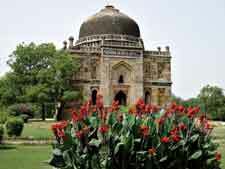 The first photo was most commonly misidentified as Fatehpur Sikri, Safdarganj Tomb, Gol Gumbaj, Golconda, Kesar Kyari Bagh, or the Red Fort. The second photo was most often mistaken for the Thousand Pillar Temple, Quwwat-ul-Islam Masjid, Hampi, Rameshwaram Temple, Humayun’s Tomb, Ranakpur Jain Temple. 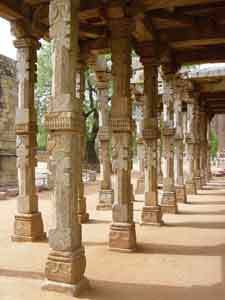 Only nine readers identified both photos correctly as the Lodi Gardens and colonnades at the Qutab Minar. Many more identified one of the two photos correctly. The winner of the $30 Go Figure Prize, selected by lottery from among the readers who answered correctly is Vinutha Prabhakar of Suwanee, Ga.